A lot of people in their 30’s still don’t know what they want to do, so it’s perfectly normal not to know how to choose a career in your teens/20’s. It mightn’t be easy to figure out exactly what you want to do. However, there are tools and tricks you can use for some help choosing a career. Get current SALARY GUIDES for these careers on the internet. These will detail the various roles in each profession. The big recruitment companies will publish these guides every year. Pick out the roles that interest you, and UNDERSTAND at a high level what these jobs entail, their earning potential, hours, locations they exist in, companies they exist in, etc. For each job title you are interested find 5-10 people who are 10 years older than you on LinkedIn, does their PROFILE appeal to you? For these roles, get 5-10 JOB DESCRIPTIONS from a job site, do the key points still interest you? Once you have whittled down list, then research how to get these roles. Do you have the skills necessary? If not how would you get them? Work experience? Do you know people recruiting for these roles? LinkedIn, friends of family? One exercise that provides a lot of help choosing a career is the ‘NYU Career Tracks Exercise’. Collect 50 job advertisements that look interesting. Sort them by whether you are drawn to the organisation/the responsibilities of the job. Then circle the parts that appeal to you. You should start to see common themes/patterns occurring. You now have an idea of what companies and roles interest you. Remember this is only the starting point. It’s really rare that you will be able to pinpoint what you are going to do for the next 40yrs in your 20’s. The best you can do is make an informed decision based on the best info you have. 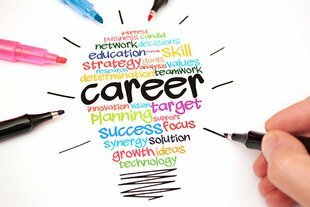 Once you start a role that you think you might be interested in, you will find out more and more about different career paths stemming from that role. This gives you more info, to make the next informed decision, and so the cycle repeats! Once you’ve done this a few times, you might find you no longer need any help choosing a career! Talk to as many people as possible. Who do you talk to? The best people to talk to will be the person in your shoes 1 or 2 years previously. Try to find people who have graduated from your course recently. Ask them could you have a quick chat about how they chose their careers. If you type in your course/university into LinkedIn you will get lots of results back. Or try and find people who have graduated and are working a couple of years through your university faculty. If you have any young lecturers, they will be well versed in the different paths people take from university. They will know from past graduates/friends, and can advise you on how to choose a career. A 20 minute chat with someone like this can prove invaluable. Make sure you do your research before you go in, and prepare as many good questions as you can to make the most of the time. Update your CV with your experience/skills and go talk to recruitment agents. They have seen hundreds of people in your shoes and can be useful in giving insight into what people actually end up working in. Be wary though of their own agenda; they may want to sell you the roles that they have available at that time. Try if you can to deal with recruitment agents who have 5+ years experience. There is a high turnover in recruitment and you will find the ones who stick around for 5+ years are a lot better than the rest. You can check out their experience on LinkedIn. Go and talk to career guidance professionals. Try and talk to as many as you can to get a broad range of opinions. It can be tough for a career guidance person to know about every career, so sometimes you will get richer advice by talking to somebody who has been in your shoes previously or immersed in the area like a recruitment agent or a lecturer. The more people you talk to the better. Recently, I revisited some of these tests to see what jobs they would suggest for me. When I did the Myers Briggs test again, I actually came out as INTJ, and a couple of other ones told me I was right in between being and introvert and an extrovert. Then I googled ‘best jobs for INTJ/ENTJ’, and got a list of 75 jobs. In that list, there were finance/economist jobs that I could see myself doing. There were also a whole host of engineering, maths and IT jobs that I would hate to do! E – I enjoy people and have wide variety of relationships, am sometimes quick to act, and think later. I’m always looking ahead, into the future, looking for possibilities. I’m also quite comfortable with ambiguous data and having to interpret what it means. I’m quite detached as a person, will look for the facts and logic, and see things objectively. If you can learn the above about yourself at a young age I think it will be of huge benefit. I’m not sure it will magically tell your perfect career. However, when you have little experience and knowledge of the working world I think it’s a real help when trying to figure out what jobs you might like/not like. There are lots of cheap/free personality and career interest tests on the internet to help you choose a career: Myers Briggs, Big Five Personality Assessment, 16 Personalities, Career quizzes, etc., but I think it’s one of those areas where you pay for what you get. If I was 21 again and had to choose a career, I’d invest some money in them, pay at least £100 for some decent testing. With these tests, the value is in how you interpret the results. You will find the more you pay, the better quality of feedback you get. Look at it as a future investment. When you divide whatever you pay divided by the number of years spent working – it’s peanuts. If you want some more help choosing a career, please feel free to get in touch using the ‘contact’ section of the website! I’d love to hear from you! Thanks. Great post! Your advice is so helpful and as a Career Advice blogger myself I can vouch for all the above. Love this blog. Thank You Addaa! Much appreciated! Very nicely written. I’ll have to remember this book for when it’s time for my college graduation! These are all great resources. Thanks for sharing. Great idea for taking the myers briggs test! I will have to do that now, thanks for the reminder. Very well written! i still wonder what if I was in a different academic/career path and feel eager to learn new things. It is an interesting thing that we as humans can often not make decisions. Some people wind up in careers where they are miserable for years while others actually achieve their dreams. There are some good tips here for figuring out what to pursue. So many great tips! It’s such a huge decision and most people are uniformed. Changing my career! I went from the veterinary world to nursing in labor and delivery! So happy I did! 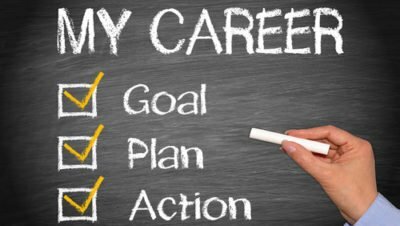 This post will be very helpful for the young people confused about making the best career decision.